It’s been more than a couple weeks now, and Pokémon GO is still all the rage. People keep talking about it, and people still keep playing it, even with the mixed reactions to the game’s first major update from Niantic. That update appears to have been made to nerf certain characters (Vaporeon, in particular) and remove features that made the game easier, though a few new ones have been added. Even with the footstep tracking feature, there are still different hidden tricks and Easter eggs in Pokémon GO that can supposedly make things easier for players. However, the thing is which ones are legitimate tricks and cheats, and which ones are made-up things that simply capitalize on the game’s popularity and the general desire of gamers to check out any purported workaround, loophole, or cheat? We’ve done our homework and filtered out the fake stuff, as we shall now be bringing you an extensive list of proven and confirmed Easter eggs, cheats, and special tricks in this new Pokémon GO strategy guide. Pikachu, despite being the most popular Pokémon by far, is not among the official starters you can get in the game. Instead, that honor goes to a few common Pokémon, namely Charmander, Squirtle, and Bulbasaur. However, you can use Pikachu as a starter simply by doing this trick. Walk away from the three starters four times – that’s right, walk away, ignore them, pay them no mind. Once they reappear a fourth time, they will be joined by Pikachu, and that’s when you can go with the ubiquitous yellow creature as your starter. We’ve been talking up the merits of throwing curveballs in Pokémon GO for some time, and it’s been proven to be an effective way for anyone to catch a Pokémon. What you want to do here is to go for the Nice, Great, or Excellent bonus by throwing a curveball through the colored circle. The better the bonus, the greater the odds of catching a Pokémon. The curveball may work really good when it comes to catching Pokémon, but you can also try another special pitch – a quick pitch that could give you a substantially greater chance of catching one of those creatures, especially if you’re in the hunt for a rare, epic, or high-CP Pokémon. So how do you do this? Tap a Pokémon on the game’s map, and wait for it to appear, then wait until the Pokémon zooms out. Once that happens, throw a Pokéball. You won’t be seeing an arc if you throw the pitch perfectly, as it will move toward the Pokémon, much like a baseball pitcher throwing a fastball. You may want to try counting three seconds after the Pokémon pops up, and that should give you enough time until the game zooms out and the CP figure appears. The game has an “automatic curve” bug, which has your Pokéball automatically curving when you make use of Razz Berries. But there’s a home remedy that you can use against this bug, and it’s very easy to pull off – just throw curveballs on purpose. And since you’ll likely want to throw as many curveballs as possible to increase your odds of catching Pokémon, it’ll be just like you’re working around the bug organically, just by playing the game like you normally would. You can also remember the direction of the curve, then throw a straight “fastball” to the side, as that would make it curve by itself. For quite a while, nobody quite knew what to do with Eevee’s evolutions – how do you get a Jolteon, Vaporeon, or Flareon? Fortunately, someone from Reddit had figured it out, and as we discussed in a previous strategy guide, all you have to do is to change your Eevee evolution’s name. If you need a Flareon, rename it to Pyro. If you need a Jolteon, rename it to Sparky. And if you need a Vaporeon, rename it to Rainer. It’s advisable that you rename the evolution ASAP, but if you choose to do it at a later time, you’ll have to shut down Pokémon GO and reopen the game, so you can evolve them properly. We also did tell you last time that this Easter egg is a nod to the original Pokémon anime, where there were three brothers named Pyro, Rainer, and Sparky who had three separate evolutions of Eevee. And since Niantic CEO John Hanke has confirmed this himself, you can confidently proceed with renaming your Eevee evolutions and evolving them into the one you want or need. When playing gym battles against an opponent, there is no need to wait until their Pokémon attack animations are complete. Just wait for the yellow flash that appears around the sides of your screen, then dodge either left or right so you can avoid the attack. But don’t fight a purely defensive fight here – make sure you’re throwing in a couple attacks, depending on how quickly your opponent’s Pokémon attacks you in between dodge attempts. Want a bit of an incentive to stock up on those super-common Pidgeys? Here’s something that has been recently discovered – you can get a bonus worth 100 experience points if you catch 100 of the same Pokémon. Catch 200 of the same, you get a 200 XP bonus, with the same thing applying as you catch identical Pokémon by the hundred. But take note that the operative words above are “a bit of an incentive” – 100 XP for 100 identical Pokémon really isn’t much to speak of, but we can always hope Niantic makes the XP bonuses more attractive. Prior to Pokémon GO, Niantic’s flagship game was Ingress, and since it employs some similar mechanics to Pokémon GO, you can use Ingress to search for areas that hold a lot of XM. That’s because high-XM areas are also those places where you can expect a lot of Pokémon to spawn. So if you want to try an alternative way to flush ‘em out and catch ‘em all, try using Ingress and heading to a high-XM/high-spawn area. 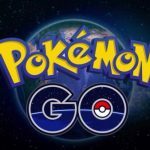 While we’re talking about Ingress, we should let you know that all Pokéstops and gyms have been ported from ingress to the newer game. However, not all of Ingress portals have been ported over to Pokémon GO. Remember where you saw those portals on Ingress that have yet to port, as you’ll never know when Niantic has added a new Pokémon gym or Pokéstop. Then visit the portals, which will show up as empty on Pokémon GO, so you can enjoy a better chance of seeing a lot of Pokémon spawn. If you live in North America, you should, by all means, go challenging gyms in the night time. That’s on account of the so-called “1 HP” bug, where any given Pokémon won’t drop down after it’s drained of all its hit points, as well as the severe server lag that prevents them from dropping like they should. So with that in mind, you should take note of the time you challenge a gym – do this in the evening in North America, but do it at a time when American/Canadian players are mostly sleeping or not playing, should you live in Asia or Europe. No gym in Pokémon GO is permanent; at some point or another, even the strongest gyms will meet their match. But you can hang on to your gym for a longer time by either training a friendly gym to the point it’s got enough prestige for you to place a Pokémon in there. It’s also possible to assign a Pokémon with extremely high CP, as that may likely dissuade other gym owners from fighting your gym. Better yet, you can do both of those things at the same time, rising as a friendly gym’s leader by stationing the Pokémon that has the highest CP rating. Speaking of the 1 HP bug, you can try this one out during your next gym challenge. If you, for instance, have a Pokémon who’s guarding a gym, challenge that very same gym with a second Pokémon from your lineup. And while your Pokémon won’t faint like it should, you’ll still be rewarded with gym prestige, plus additional XP that comes with completing a gym battle successfully. Now if you’re competing at a friendly gym, you can try this in order to get more prestige. Challenge that friendly gym with a Pokémon that has a lower CP rating. Compared to challenges done with a higher CP Pokémon, you can earn more prestige, as well as experience points; for both, the gains tend to be 10 percent over your usual prestige/XP. In one of the more recent Pokémon GO upheavals, so to say, the Pokévision website went down on Sunday, with the site’s creators taking to Twitter to confirm that the site was indeed down for the meantime. That was because they wanted to honor Nintendo and Niantic’s wishes, as they said, and we aren’t quite sure whether Pokévision will come back in the future. 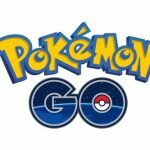 Hanke, after all, does not like these sites, due to the load they put on Niantic’s servers, and possibly the fact that they make playing the game easier. So how did Pokévision work? The site allowed players to hunt for Pokémon easily by seeing all the Pokémon spawning at any given time or location. It also gave players a heads-up about how many minutes Pokémon had before spawning. Now that the site and many others have been taken down, there are a few that still remain, websites that make use of data mining to provide detailed information on Pokémon. You will, however, need to act quickly, as both Niantic and Nintendo appear determined to put an end to these third-party sites. 14. Why Would You Want To Play The Game In Landscape Mode? Typically, gamers play Pokémon GO in portrait mode; the game was made to be that way, after all. But you can also play the game in landscape mode with your iPhone facing horizontally. Once you’re playing in landscape mode, tap on the Pokéball icon, then go to your phone’s settings. Click on the option “Report High Priority Issue,” and wait for the browser screen to appear, leaving your phone in landscape mode. Tap on the Menu button, and reopen the game by clicking on the Pokémon GO icon. That will close the report menu, and allow you to restart the game, with the interface showing in landscape mode. This same trick is also available for Android devices, but with a different set of steps. There are Rotation Manager, Rotate, and Ultimate Rotation Control apps for Android devices, and these can all force the orientation of an app’s user interface to a certain mode. Use those apps at any time you need to force the game to play in landscape mode, as opposed to portrait. When using the GPS feature that Pokémon GO leverages in order to work, it seems as if Android phone owners have an edge over iPhone owners. You’ll have more options for the GPS function, and you can go check them out by going to your phone’s settings and switching GPS accuracy to “low battery.” That’s going to reduce GPS accuracy and will make your character more aimless as it moves around. So what’s the payoff in all this? The payoff, as we mentioned before, is that your eggs will hatch faster, as your character’s aimless movements will count as the movement that’s required to incubate an egg. Just put your phone down and let your character wander – you may be surprised at how quick your eggs hatch due to all that wandering. The above trick can still be performed even if you own an iPhone, though the steps are quite different. Switch the game to active, then place your phone on a desk, leaving the game active; you will have to adjust your phone’s settings to disable the lock screen and prevent it from going to sleep mode. As your phone sits on your desk, your character will aimlessly move around, and that’s going to add to the distance covered, allowing the egg to hatch faster. It’s best to do this trick (and the one above) with your phone plugged into a charger. Here’s yet another hidden trick for hatching those eggs faster. As the GPS pings Pokémon GO every three minutes, that could result in a lot of distance not getting counted. To avoid this situation and get the most out of your walking, biking, or whatnot, make sure you’re moving in as straight a direction as you could. This works best if you’re walking, as you may lose significantly more distance if you bike or drive to hatch your eggs. If you’re in need of more coins, this neat trick may work for you. Go to the in-game shop, and wait until the coin bonus countdown reaches zero. But don’t collect the coin bonus right away; before you do that, go to an area that has tons of gyms. Make sure you’ve got a strong lineup of Pokémon, and try to beat all of the Pokémon in the other gyms. Once you’ve done that, add your own Pokémon, or keep on training your own gyms and leveling them up so you can add Pokémon. Keep on doing this as long as you’ve got Pokémon to use, and collect your coin bonus. It’s as easy as that, and it could give you a ton of coins compared to the traditional method of collecting you coin bonus in the in-app store. You’re probably familiar with the Razz Berries, but the game does have some source code that hints at several new types of berries to come. These include Bluk, Nanab, Pinap, and Wepear berries, and they should be available in subsequent updates. As far as new incense goes, the source code includes reference to Cool, Floral, and Spicy incense. This is a very new game by all measures, so expect more updates to arrive, and to flesh out whatever exists in source code alone as of the moment. Sometimes, you may have some difficulty making it to a Pokéstop and collecting your free items. What’s to do in such a situation? If you get the message “too far away” after clicking on a Pokéstop, don’t panic; don’t click out and give up that easily. Keep walking toward the Pokéstop, and once you’re close enough, the message will disappear. That should allow you to collect the items as you normally should.